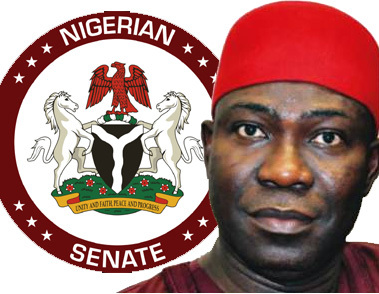 ABUJA – DEPUTY Senate President, Senator Ike Ekweremadu, has given an insight into how Enugu State survived what he described as political turbulence, saying that the peaceful dispositions and leadership qualities of the Governor of Enugu State, Rt. Hon. Ifeanyi led to that and brought about the permanent peace to the State. According to Ekweremadu, whereas the year preceding general elections in Enugu State had always been characterised by political tension, the Governor had ensured that political peace, which he engendered upon his election, had endured till date. A statement by Ekweremadu’s Special Adviser, Media, Uche Anichukwu, said, ” In 2002, ahead of the 2003 general elections, there was also crisis that almost consumed everybody. Enugu State was divided from bottom to top. We survived it. “In 2006, ahead of the 2007 elections, there was crisis of succession and related political tussles. Again, we survived it. In 2010, there was also political feud between our brothers in Abuja and those in Enugu. God helped us to survive it. “In 2014, Enugu was also divided; we managed to survive it. This is 2018. There will be elections in Enugu next year, but everywhere is peaceful in this state because we have a governor, who has brought permanent peace to the State. “There is peace between the workers and the government; there is peace between those in Abuja and those in Enugu; there is peace between PDP and APC and other political parties in Enugu State. There is peace between the various parts of the state”. Ekweremadu explained that it was for this reason that the PDP, Enugu West and the entire people of the Senatorial District felt it was appropriate to come together to celebrate and thank God for the political peace and security of lives and property in the State. “Coming from National Assembly, I know what is going on in many states. But we do not have political fights here. We do not have killings by bandits, which occur almost on a daily basis in many states. “God has been very faithful and kind to our State, but we will not take it for granted. That is why we came together today to thank God and celebrate our governor, who has made this possible”, he added. On his part, Governor Ifeanyi Ugwuanyi, who lauded Senator Ekweremadu for showing leadership and support at all times, which had contributed immensely to the peace and development in the State, also appreciated the people of Enugu West for the good example they had shown, urging other senatorial to emulate them. While calling for prayers for the continued peace and development in the State, Ugwuanyi assured that he would always lead with a sense of peace and justice. Previous Doctors Are Shocked That This NAFDAC Approved Herbal Remedy Gives Men Rock-Hard Erections And Stamina To Last 25minutes In Bed Without Viagra!